If you are interested in setting up a wholesale account, please contact us at: info@fairyflowersonline.com and we can send you the requirements and information. 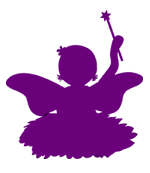 Wholesale accounts require a minimum $100 order and do not honor any Fairy Flowers Boutique discount codes. You must be logged in as a wholesale account to see the wholesale prices.